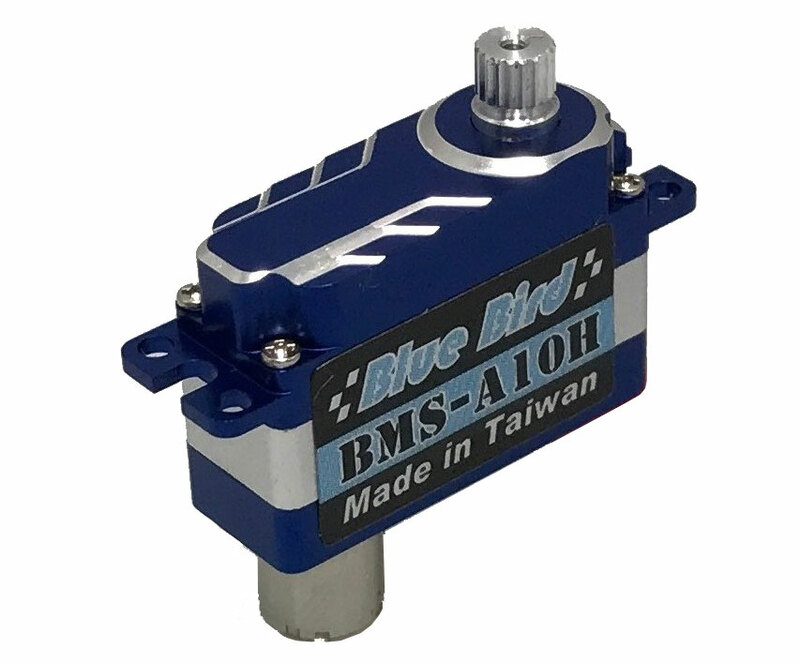 The Blue Bird BMS-A10H is a great new wide voltage range (WV) servo with amazing torque, speed and precision in a tiny case only 8 mm thick. 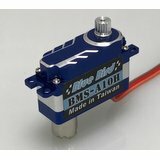 The H suffix relates to the horizontal (conventional) servo mounting lugs fitted, making this servo ideal for fuselage mounting. With a weight of 7.4 g and a speed of 0.07 sec/60° the Blue Bird BMS-A10H is ideal for DLGs, F3K, F3P, F5J, and all electric racers, small gliders and 3D RC models. Being so thin and lightweight the A10 is also ideal for installation in the tail surfaces of larger models. With a wide voltage range from 3.7V to 8.4V the BlueBird A10-H works perfectly on 1S and 2S LiPo, and well as 4 and 5 cell NiMH batteries. 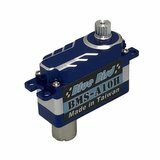 We're pleased you would like to review Blue Bird BMS-A10H WV Servo - 3.2Kg.cm 0.07s 7.4g 8mm. Surprise with these micro machine. I put the 6 servos in my F5J glider and very well center, power and fast. Thank you Neil from Chile. Trying out these Blue Birds for the first time. First impressions are good, they are quite fast on 1s LiPo and center well. Will see how they perform in the long run, but have no reason to doubt them. Thank you Neil for your usual fast service! 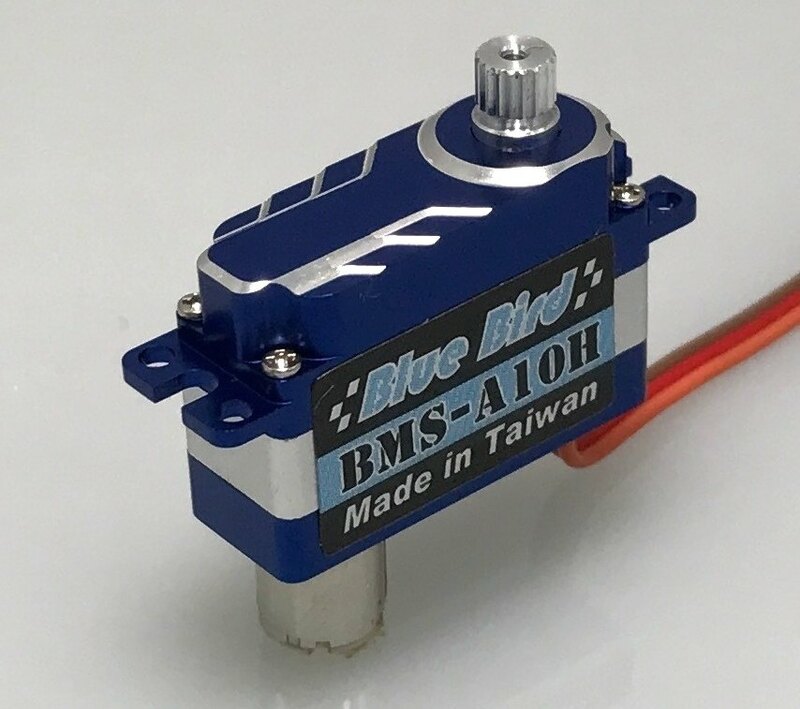 Blue-Bird Got a bad REP when they first started but now they are making some very good high quality servos. These little things are no different! And check out the A207's if you need something bigger.